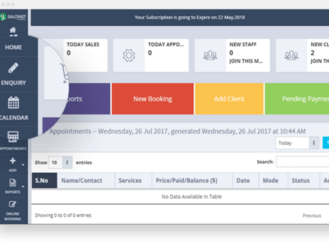 Salonist is an ideal Salon Management Software for all type of salon owners at reasonable cost. It helps your business to stand out in this competitive business industry. It increase your profits and your overall productivity easily and effectively. It has highly innovative, creative, helpful and capable features. For more details visit us now!